Tired of the endless streams of vehicles in front of every signal light in Mumbai? Check the Mumbai to Kolkata flights schedule today and head to the City of Joy! It is said that Bengali is the sweetest language in the world. To experience the sweetness of this language, one simply cannot find a better place than Kolkata. The city has something to offer to everyone. Rich in cultural heritage, historical monuments, temples, water bodies, different modes of transport, great engineering marvels, food and innumerable other things, Kolkata is one of the major tourist destination of India. It is hard to mention a specific place of attraction in Kolkata because the city has lot to give to its tourists. The best way to start the day is with a dip in the river Ganges on babughat followed by a walk to Rabindra Setu, popularly known as Howrah Bridge. The cool winds hitting the face will surely give you a refreshing start to the day. However, to get a better view of the bridge, you will need to take the ferry that run below the bridge through the Ganges. Just below the bridge, a flower market offers great photo opportunities. A taxi ride south of the bridge will take you to the Dakshineswar Kali temple, situated on the banks of the Hooghly River. It was built around the middle of 19th Century by Rani Rashmoni, a philanthropist and a devotee of Kali. The temple consists of the idol of goddess kali standing on the chest of Lord Shiva in a sleeping posture. Behind the idol, a thousand-petal lotus made of silver can be seen. The Temple is one of the famous temples for the devotees and one can enjoy the pleasant atmosphere in the morning by sitting at the bank of the Hooghly River. Park Street is the street that never sleeps due to huge number of restaurants and pubs. It has always been at the customer’s service. Mouth-watering dishes in this street will leave one undecided whether to taste spicy dishes or the sweets. No one would like to miss the opportunity to taste the famous “Kolkata Rosogolla”. The street is a heaven for foodies and an attraction to tourists. A 5-minute metro ride to the Maidan station from Park Street will take you to the Victoria memorial, an eye-catching monument made of white marble situated in 1 Queensway road in the heart of the city. It is dedicated in the memory of the queen Victoria and is currently a museum. The museum has a section of artifacts, paintings, and memorials from the past. What makes it attractive is its giant structure spreadKolkata: Our Own City of Joy over a huge land. Ride to Princep Ghat can surely end the day well. It is located between Fort William and the Watergate. Watching the sunset and talking a long walk along the Vidyasagar Setu is an amazing experience. A single of the easiest and most effective strategies of searching for your subsequent flight deal is to use 1 of the most recent flight and airfare comparison web sites. On FareCompare, you’ll locate low cost flights for domestic and international travel, affordable tickets, airline tickets, discount airfare, discount first class airfare, the easiest air travel planning tools and specialist travel assistance. 9. Flightfox When you post your desired travel plans on this 21st-century version of a travel agency, its crowdsourced hive mind of experts begin competing to find you the cheapest and/or best route(s). This site does not consist of all credit card providers or all readily available credit card provides. 4. @TheFlightDeal on Twitter The web-site for The Flight Deal serves up fare bargains with some wanderlust-stoking visuals, but to maximize your time, a rapid scan of their Twitter feed (and the prevalent hashtag #Airfare) will tell you anything you will need to know about the ideal up-to-the-minute, round-trip and tax-inclusive fares to/from just about everywhere in the world. So you get the best deals each time! 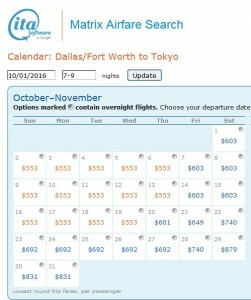 Like the ITA Matrix, Hipmunk does not enable you to book flights (or rooms) directly. 8. Yapta A partial remedy for travel-buyer’s remorse, Yapta lets you know when your already-booked fare gets offered for much less elsewhere, and when (per each airline’s individual policy) you are eligible for a refund equal to the discount. You can’t purchase airfare straight from ITA Matrix, so when you uncover the greatest fare, you will then have to relocate your itinerary with an online travel agency (like Expedia, Priceline, Orbitz, and so forth.) or an individual airline, any of which ought to be in a position to replicate your findings and challenge a ticket. 10. Adioso Developed for budget-conscious travelers with flexible itineraries, Adioso enables you to conduct vaguely detailed searches—such as Chicago to East Africa in late September for 12 days”—and get a good idea of how far you can go for the most effective price. 1. ITA Matrix This computer software is the backbone of quite a few on the net travel agencies and airline websites it can come across and price fares on most airlines, and displays the information in a user-friendly way. Skiplagged exposes loopholes in airfare pricing, such as hidden-city, to uncover you offers you can not get anywhere else.